Develop Your Skills in Leading TRE & Finish Your Certification! We are pleased to announce that Susan Shifman will be coming back to Portland to lead the TRE Global Certification Program - Module 2 course in the Northwest. This certification training will deepen your knowledge of the theory behind TRE and further develop your skills. With a practical approach that emphasizes experiential learning and lessons learned from years of experience as a TRE Trainer and through assisting Dr Berceli's, Susan will teach you how to competently and safely teach TRE to individuals and groups of people, how to integrate TRE with other existing professional modalities and how to give physical interventions to assist the tremors. This workshop is for those interested in becoming certified to teach individuals and groups in TRE. Module 2 is only open to participants who have completed the Module 1 workshop and who are registered in the TRE Certification Program and engaged in supervision. In addition, this workshop will also include a special one-hour presentation by Lynea Gillen, the founder of Yoga Calm, on using TRE with children. Contact Susan regarding scheduling individual supervision sessions following the Module I workshop. Contact her to schedule, 480-861-7781 or susanshifman@gmail.com. A certificate of completion will be provided upon course completion listing 21 contact hours. 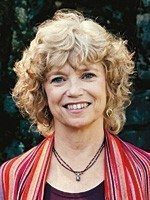 Susan Shifman, TRE Certification Trainer, has had a long career in health and wellness industry as a Certified Personal Fitness Trainer, Registered Yoga Instructor and Reiki Practitioner. Since 2007, Susan has studied with Dr. David Berceli, and has had the wonderful opportunity to act as his assistant at many trainings and workshops, learning firsthand the art and science of supporting students from all walks of life with TRE. In addition to being a Level 1 & 2 TRE Practioner, Susan also served as Business Manager for TRE, LLC and as Certification Trainer for over five years. Susan co-authored a chapter in David's new book, Shake It Of Naturally, and also produced the video, “Modifications for TRE,” for the physically challenged. This video is one of the required videos for trainees in the Global Certification Program. 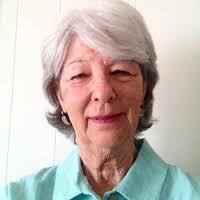 Lynea Gillen, LPC, MS, RYT is pioneer in the field of health and wellness education for youth. Her heart-centered, creative and effective tools were developed directly from her 35 years of supporting youth as a school teacher, counselor and clinician. Lynea's Yoga Calm program was developed in a behavior classroom in a rural Oregon elementary school over 17 years ago and is now being used with tens of thousands of children around the world in diverse settings such as urban classrooms, clinics and psychiatric hospitals like the Mayo Clinic. ​Lynea is also an adjunct professor at Portland State University and Lewis & Clark College where she has created over a dozen courses in counseling and special education and has taught thousands of teachers, counselors and therapists. Her books and media have also won eight national awards. Lynea is a current Licensed Professional Counselor with the state of Oregon, holds an MS in Counseling in Education from PSU and is a registered yoga teacher with Yoga Alliance.